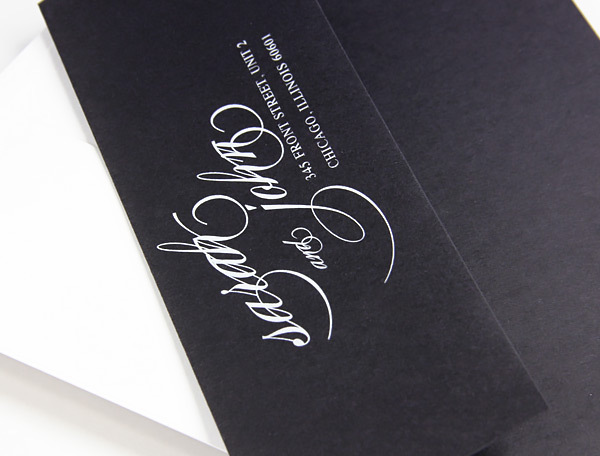 White Ink printing on dark papers - it's sharp, it's striking, and it's offered on hundreds of high end papers and envelopes at LCIPaper.com. Learn about it below, and see what our professional printing can do for your design. A Digital Press for Fast, Economical Prints. Much of the white printing you've probably seen is done using an extraordinary but time and wallet consuming print method - silk screening, foil stamping, etc.Our white printing is done with a fast and efficient digital press. What does this mean for you? 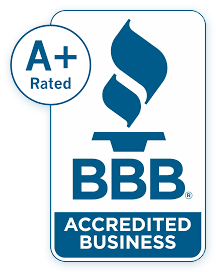 Printing is sharp, professional, and economical. Choose our designs or upload your own. Place your order, then your order will make its way through our presses and to your doorstep in the blink of an eye. We can print your custom artwork in white ink and to do so we require that your file is 100% black. Customers often ask us if they have to send their custom art work in white. Please don't - we can't use it! After you place your order for custom printing, you will get a link at checkout and in your order confirmation to upload your artwork. Please send us a PDF or .eps with outlined fonts. We'll send you a proof before we print. Can We Print Metallic Gold or Silver Ink Instead of White? Though we can print in white, we do not offer metallic gold, silver, or any other colors that will show on dark envelopes. This is because we use a CMYK + White press - white being the only opaque ink. That lovely metallic silver and gold printing you've seen... that's foil stamping. We love it too, but sadly, can't do it on cards or envelopes. Questions about white ink printed cards or envelopes? Check out our white ink FAQs.